Is there anyone out there that is not a sycophantic drone that actually believes the Obama administration was not one of the most vile and corrupt administrations ever to be in power? 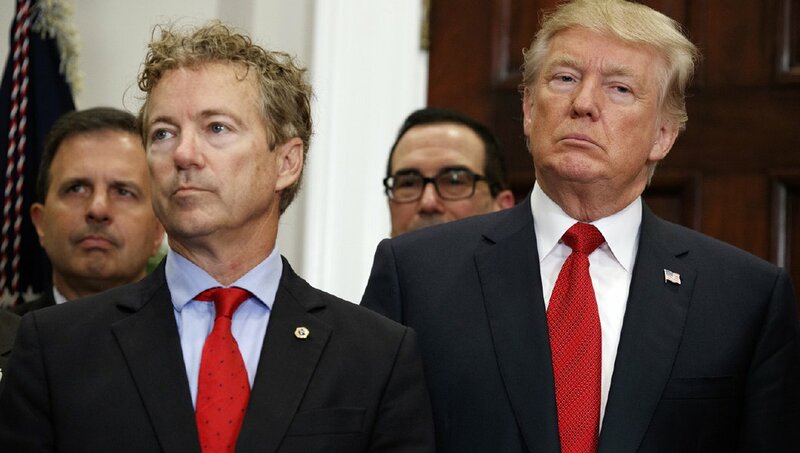 Sen. Rand Paul (R-KY) called for an investigation into “high ranking Obama government officials” who are suspected of colluding to take Trump down in the election. This adds to the long list of Republicans who are calling for a special counsel to investigate top Obama officials. There is mounting evidence that people in the top positions of power colluded to prevent Trump’s election. Amidst all the screaming and wailing about how Trump colluded with Russia, the only hard evidence we have is that the Hillary Clinton campaign and the Democratic National Convention paid for the infamous dossier. They all deny anything, which is par for the course. The top people order things to get done, but don’t want to know any details for plausible deniability. After the FBI’s investigation into the matter, the dossier was handed over to them when they issued a warrant to spy on Trump campaign adviser Carter Page. There are also reports that the FBI paid the author of the dossier, Christopher Steele, some of his expenses. Steele also is reported to have paid off some of his sources, some of which were Russian intelligence. The Justice Department was also busy acting illegally. A senior DOJ official, General Bruce Ohr, met with Steele and Fusion GPS, the company that produced the dossier. He was recently demoted because of he blurred his connection to the whole ordeal to his superiors. The Justice Department wasn’t the only agency doing illegal things. Peter Strzok, senior official at the FBI, played a huge role in the Clinton email scandal. He softened the language surrounding the Clinton case which ended up letting her off as James Comey basically said that if anyone else had done what Clinton did, that person would be in jail. But it’s what her intentions were that really counted, or something. Strzok wasn’t done there and was eventually removed from Robert Mueller’s special counsel team in July after his hundreds of anti-Trump tweets no longer put him in a position of objectivity. As Republicans are leaning in for the kill, Democrats are arguing that Republicans and the President are trying to shut down the special counsel, even though Trump has said he is not going to do so. What do you think of all this? How can we be a nation of laws if the people in power are above these laws?